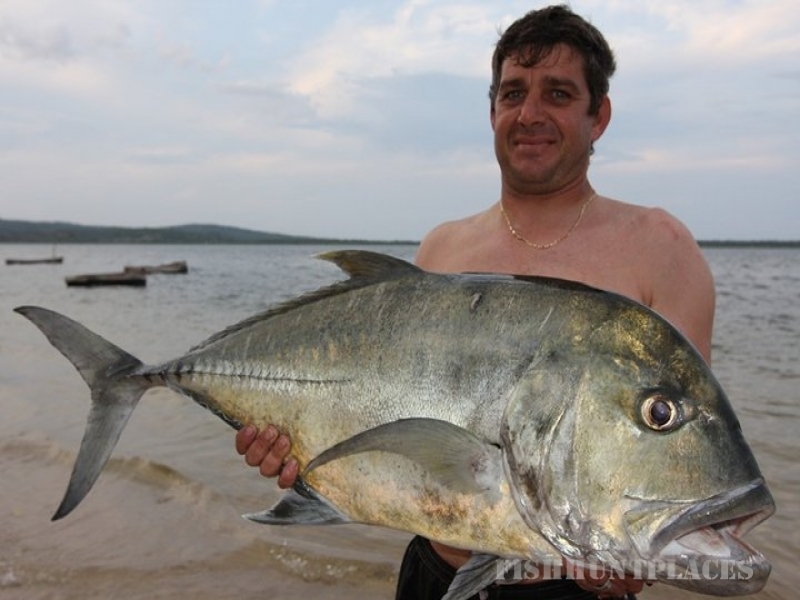 Silver Fish Lodge is situated in the Inhambane province in Mozambique. It is 450 km north of Maputo (the capital) and 700 odd km south of Beira. It is run by the owner, Etienne , who built the lodge and has been there since 1998. He has a team of ten to assist him to make sure your stay is comfortable and memorable. It is situated remotely on an Estuary, on the beach, with an always open mouth to the bay and thereafter the open ocean. Even though it is remote, it is close to Inhambane airport, which is serviced daily with flights from Maputo, and Johannesburg, South Africa via the national carrier, LAM. Access to and from the lodge is easy, and transfers are undertaken by the lodge, so we will meet and greet you at the airport. 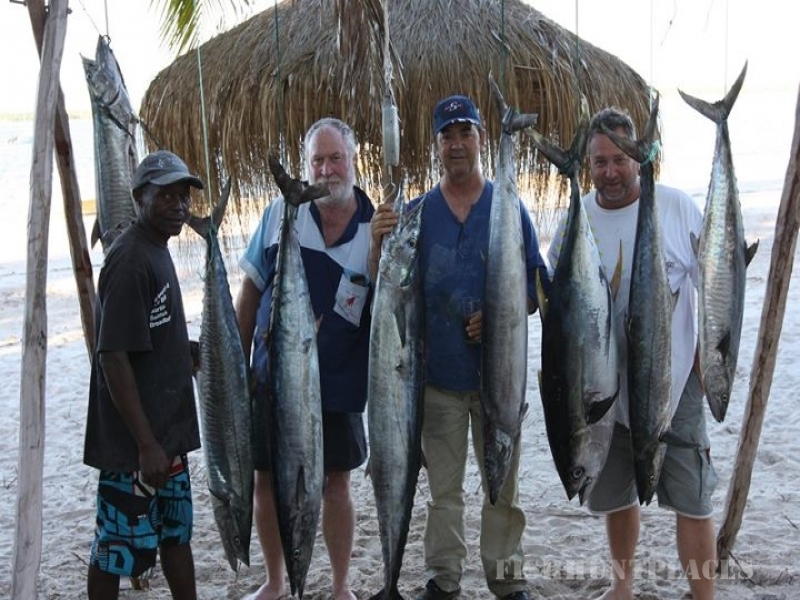 We are primarily a fishing lodge that caters for individuals and groups up to twelve, who usually choose a fishing package that suits their needs. 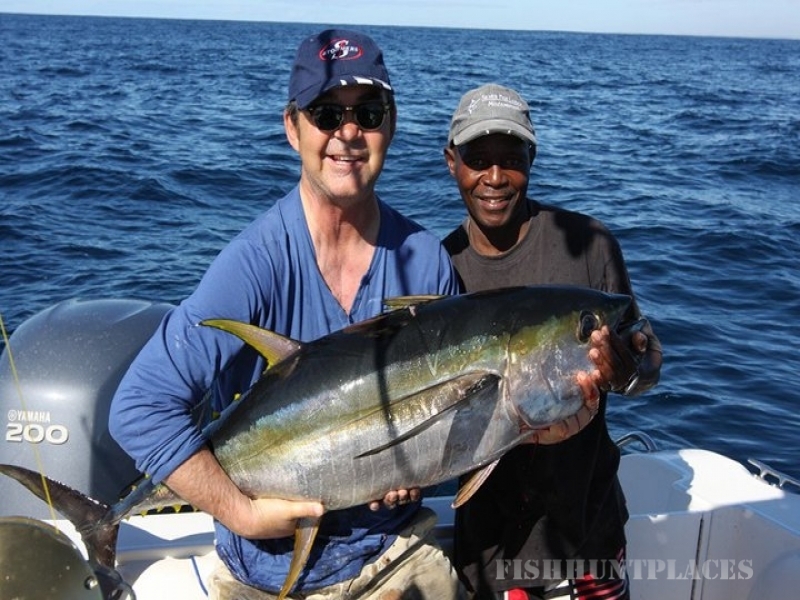 There are 5 night, 7 night, and longer packages where all accommodation, food and fishing is included. This then takes out the complex budgeting associated with planning a trip like this. You pay for your flight, and we take care of the rest…. 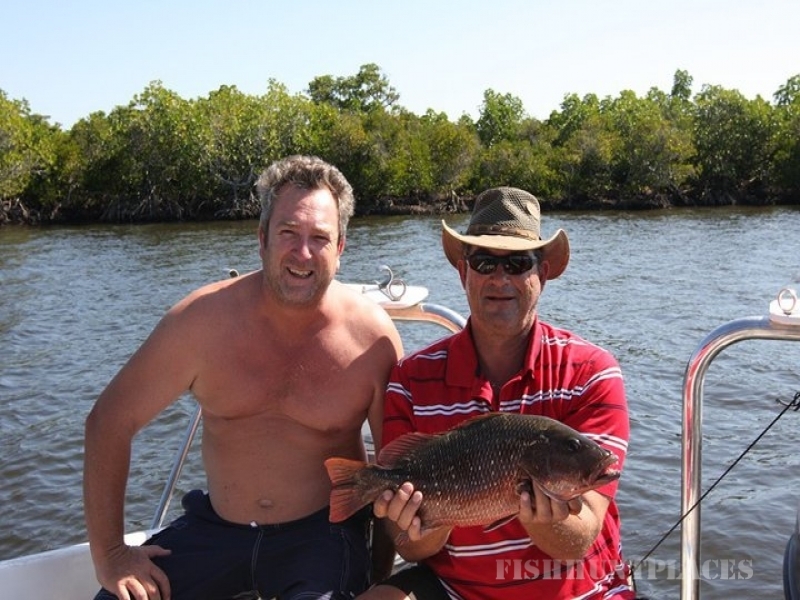 We offer Fly Fishing in and around the Mangroves, Inshore bay fishing, Kayak Fishing, Offshore Ocean fishing and Spear fishing safaris. You can choose from one of our three boats depending on the size of your group. Everything is included in the packages, like tackle, bait, boat packs, refreshments and fuel. 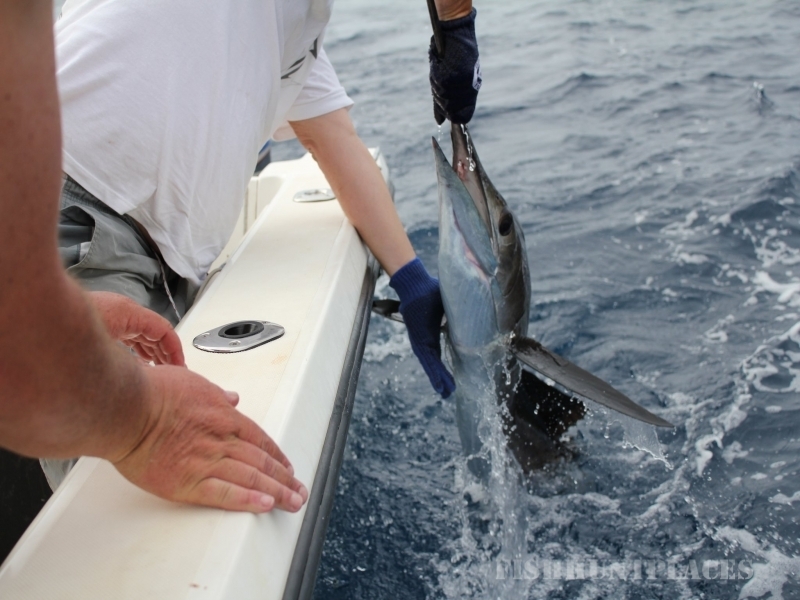 We catch most Pelagic species, including Black and Blue Marlin, Sailfish, Narrow Barred Mackerel (Cuta), GT’s, Trevally’s (also known as kingfish) Yellow Fin Tuna, other Tuna species, Sharks, Prodigal Son, Wahoo, Queen Mackerel, Queen fish, Job fish and Barracuda. We know where they are. 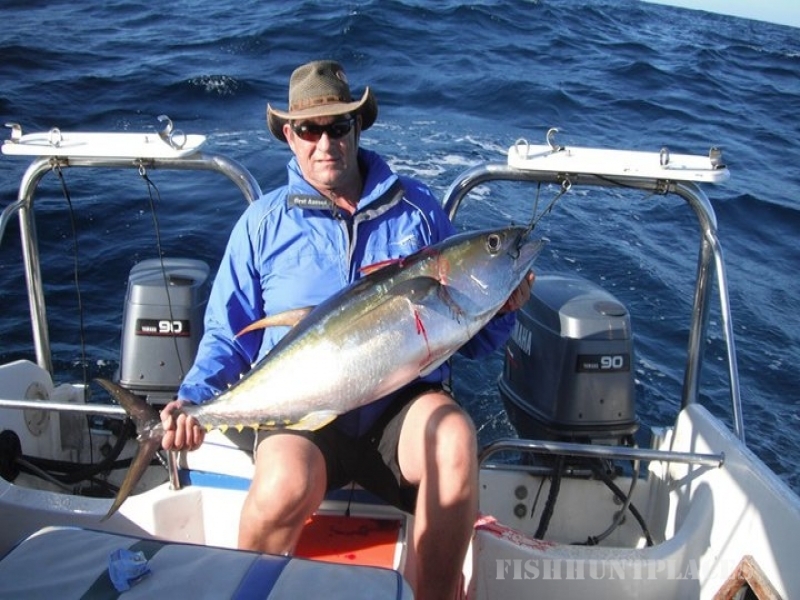 Our summer months into winter are the best months for fishing. From spring day, which is the 1st September, until mid-July are the preferred months to come. As we live in the tropics, it’s always difficult to choose the exact week, but by speaking to the lodge owner, Etienne, he will guide you with what’s happening at any time. Usually for December and April, it is necessary to book well in advance as these are our busiest times and we are always fully booked months in advance. Accommodation is comfortable, new, clean and spacious and is within fifty meters from the water’s edge. Rooms are serviced daily. Our gourmet kitchen serves mostly fresh seafood, with fish, prawns, calamari and crayfish. We also offer some local dishes like crab cakes (or Casquenha). Packages include three meals a day and a boat pack for those going offshore. Alternatively, you can opt for the stay without the package rates. Typically bird watchers, and people who don’t necessary have to fish all the time fit this category. Rates per room and food service is available from the menu. We are 17km from Maxixe, which is a city of 70 000 people and growing…Businessmen, and families are welcome to stay with us. We look forward to guiding you to an incredible time. No two days are ever the same out there and you never know what will happen next.